Powerful Controls for Your Indoor Environment! 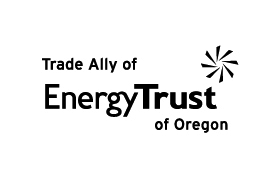 Take control… as Oregon’s premier heating and cooling contractor we care about you and your comfort. We carry both programmable and non-programmable thermostats and we’ll recommend and install the right model with the right features for you and your lifestyle. Programmable Thermostats – The power of modern technology. While features vary from global remote access to simple ventilation controls, today’s programmable thermostats have several things in common; including: ease of use, positive contribution to overall system performance, maximization of energy savings and complete comfort control. The precise temperature control of a programmable, energy-saving thermostat saves wear and tear on high-efficiency heating and cooling equipment by properly cycling the equipment; the set-it-and-forget-it programming makes energy savings automatic. Precise control delivers the comfortable temperature you want while using the energy most efficiently. Thermostats vary in technology. 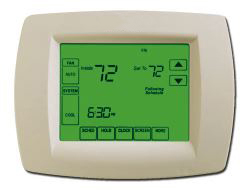 Non-Programmable Thermostats offer a simple set-it-and-forget-it temperature control. We carry both digital and non-digital designs. Large, clear, backlit digital display that is easy to read in various lighting conditions. For more on thermostats or any of our other products and services, please contact us. Don’t forget to ask us about our exclusive 100% Satisfaction Guarantee!